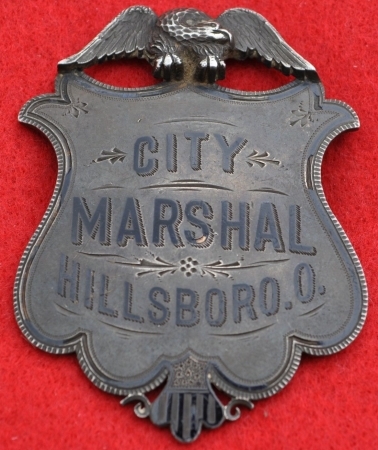 City Marshal Hillsboro, O. badge, jeweler made by Duhme & Co., Cincinnatie, O., sterling silver. Presented to M. R. Willetts by his friends. Duhme & Co. Jewelers Cincinnatt, O. 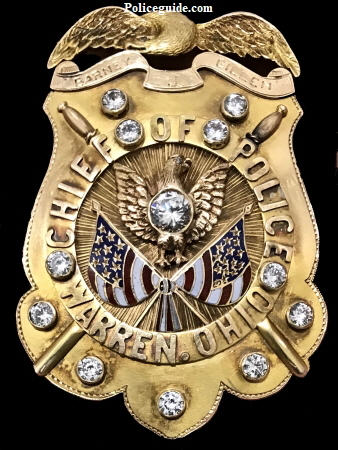 This presentation eagle topped shield is marked on back "Presented to Barney J. Gillen by members of Police Force and Merchants of Warren, Ohio, 1919". Stunning 10k gold eagle topped shield, surmounted with a Phoenix rising above two American flags. 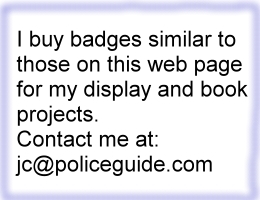 Twelve brilliant diamonds adorn the shield which is completed with crossed police batons. 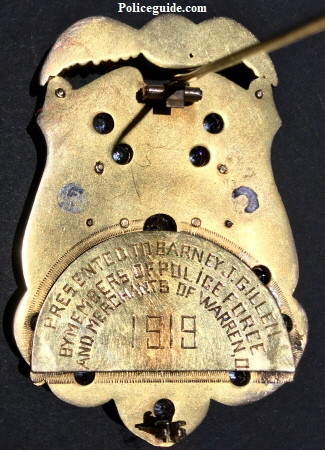 Marked "Barney J. Gillen, Chief of Police, Warren, Ohio". 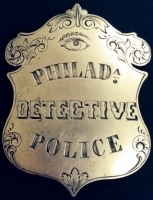 Born 1869 in the Free State of Ireland, his family immigrated to the U.S. in 1873. 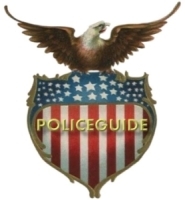 It’s not clear when his career in law enforcement began but the 1910 U.S. Census lists his occupation as Policeman, Warren, Ohio. 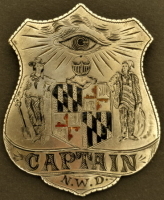 In 1919 he was appointed Chief of Police, a job he held for 27 years until his retirement in May of 1946. He died on September 19, 1960 at the age of 91.